This wooden wall art plaque is a great addition to any home. 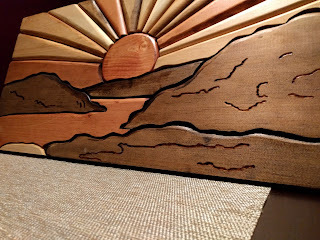 It will add warmth to any room. Modern minimalist style a great addition to any room. It can either be hung on the wall or displayed on a shelf. 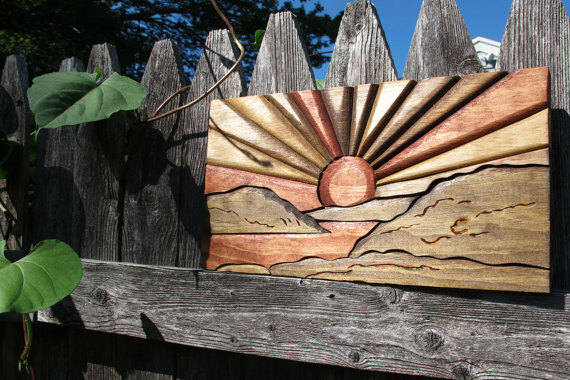 Each part was hand cut out of the same piece of wood then sanded, stained, and pieced back together to make this lovely sunset. This is 10.5" x 5" x 1"
This comes with hanging hardware and nails. Want this painted a different color or distressed? I offer many different colors. 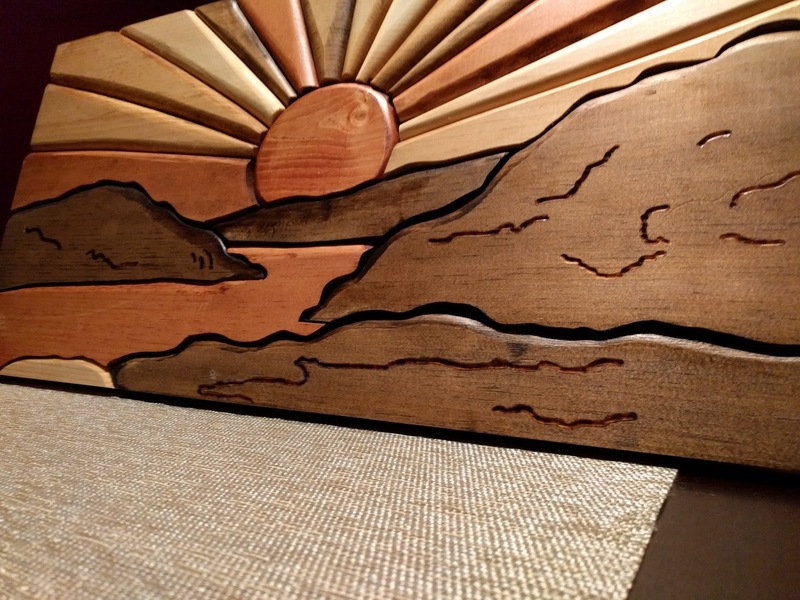 I can also make this piece much larger, up to a 12" x 25" piece. 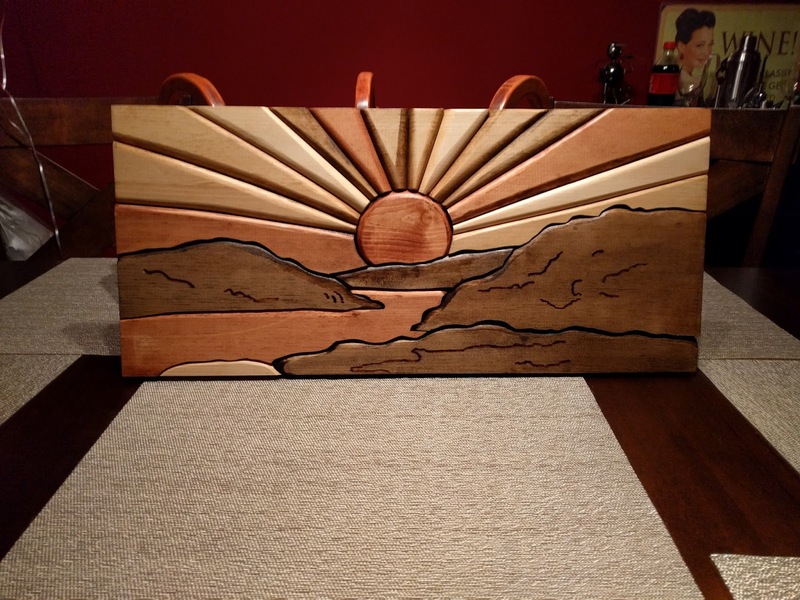 I can make it even larger also, however it would be made out of two pieces of stacked wood so that I would be able to extend the hieght even more.